SUPER STREAMLINING! 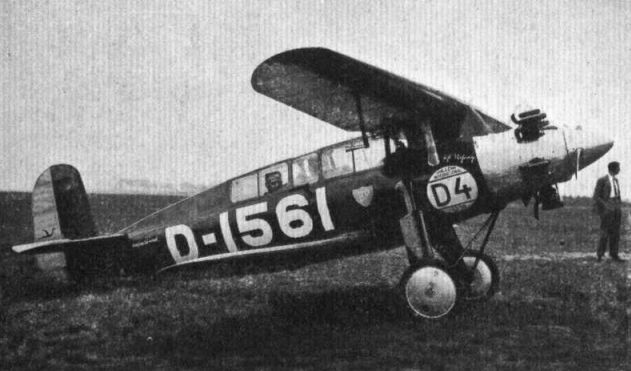 The Darmstadt D.18, shown here, built by the Academische Flieger Gruppe at Darmstadt to the designs of Herr Fetcher has a Genet Major engine and has broken quite a considerable number of records. It is credited with a top speed of over 130 m.p.h. 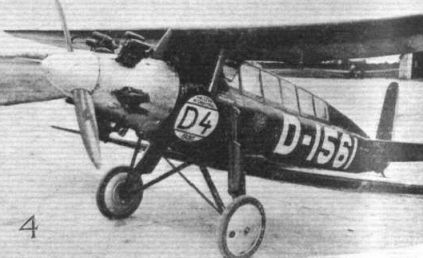 THE DARMSTADT CANTILEVER BIPLANE: Fitted with an Armstrong-Siddeley "Genet" engine, this machine is very carefully streamlined. The view from the Cabin does not appear too good. 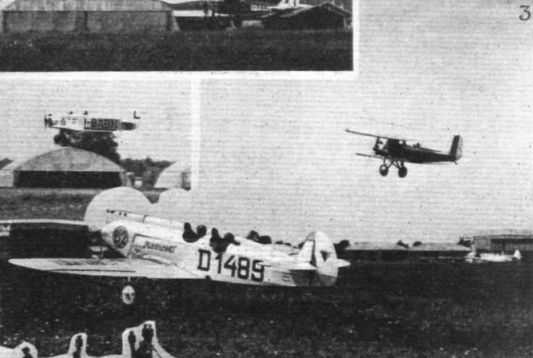 SOME "RUNDFLUG NOSES": 4, The Darmstadt cantilever biplane also has a conservatory roof. Note the pointed nose over the Armstrong-Siddeley Genet-Major engine.